You may have to keep receipts for many of your itemized tax deductions. Expense deductions can save you significant money on your income tax liability, but if you are ever audited, you may have to show receipts to prove that these expenses actually occurred. The Internal Revenue Service does allow taxpayers to deduct some expenses without keeping receipts, and the agency allows credit card records and paid bills to serve as proof of expenses. When you file your taxes, you don't have to send receipts to the IRS. But you still need to keep receipts or equally valid documentation of the expense you're claiming. Receipts are often the only proof you have of tax-deductible expenses, especially if you've paid a bill in cash. If you are ever audited by the IRS, you will have to provide these receipts or face penalties and additional payments. Many people choose to take the risk and don't save their receipts, but this can be a costly strategy. You may not have to keep receipts for business-related food expenses. If your expense is less than $75, you do not have to keep the receipt. You must, however, keep a log of the expense indicating where you ate, with whom you ate, the date of the meal and the business-related reason for the expense. There is also a per-diem allowable expense that is location-specific. For example, in Birmingham, Alabama, taxpayers are permitted to deduct $44 per meal as of 2012 without providing a receipt as long as they keep a log of the meal. You do not have to keep a log of business-related vehicle expenses. Instead, the IRS offers a standard per-mile deduction that is 55.5 cents starting April 17, 2012. Keep a log of your business-related miles and then deduct the standard per-mile deduction on your income taxes. In an increasingly electronic world, taxpayers often have alternatives to receipts. 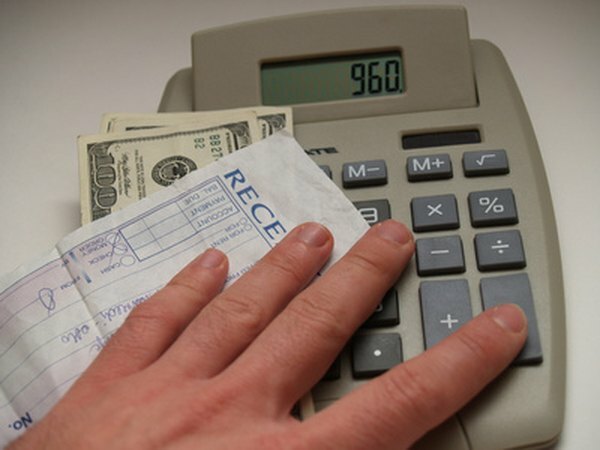 Generally speaking, canceled checks, credit card transaction records and bills can be sufficient proof of an expense. Many people have online access to these records. You may also be able to access receipts for purchases made online. Most websites maintain a customer account history, so if you have trouble keeping receipts, consider making business purchases online so you can access these receipts if you need to. USA Today Travel: What Travel Expenses Are Tax Deductible? Should I Take a Deduction if I Lost the Receipt?